My special Private tour start from Jerusalem or Tel Aviv regions only. 1981 Peace strike Israel, and my 8 years regular army service end; my country did not need me anymore, solder of war that is ready to fight to the death. I became a civilian and a father to my daughter Shira. I just discover, together with all Israelis, the failure of our leaders – Golda Meir and Moshe Dayan that in 1971 rejected the peace offer, causing 1973 “Yom Kippur War” and the death of thousands of Israelis, my brothers in arms. I decided to leave my country forever! I hated Israel; I heated my leaders and I hated myself and the whole world! I chose to move to the end of the world to find peace for my soul and I settled in Nigeria for 7 years. Then I spend 1 year in London, 2 years in Los Angeles. More than a decade after I left Israel, and after I discovered my passion to be a tour guide in L.A, I became home sick and I came back to my beloved home land – Israel. 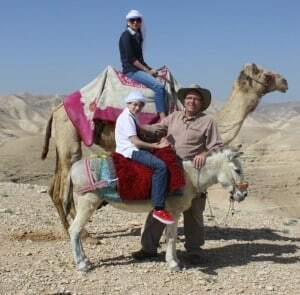 I settled in the most beautiful part of Israel “The Judean Desert“, which become my expertise as a Private tour guide. 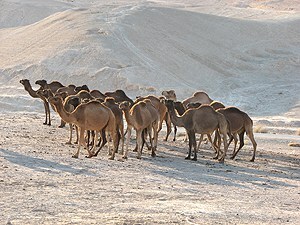 Obviously, my special tour include the Judean Desert, but also many other sites in the east part of Israel. Pickup as early as possible. As a devoted tour guide I want to give as much as possible, so I need more time, especially because we are in a private tour, and your tour guide can do whatever you like, but I cannot stop the watch. Just before, we drive down to Judean Desert quick stop at Mt. of Olives most beautiful observation in Israel, and just before Mt. Scopus observation where we can see how narrow is Israel, the West Bank, Judean Desert and we can understand “Rain Shadow” phenomena, which create the Judean Desert. At this point of our private tour, you need to choose between 2 options A – private tour emphasize in Jeeping using my Land Rover SUV for mainly off road private tour. The main goal of this option is a unique observation on St. Sabas Monastery, MARSABA observation, about 4 hours net Jeeping + 30 minutes hike on the bank of Kidron Wadi. It is possible to visit inside the monastery but only for men, Friday Wednesday closed, need to coordinate with the monastery. Crossing Judean desert all the way to the Cliff Nature Reserve, climbing down to the Dead Sea area next to Kibbutz Kalya. This part is a firing zone of I.D.F and might be close at weekdays, in this case we bypass through Nabi Mussa. 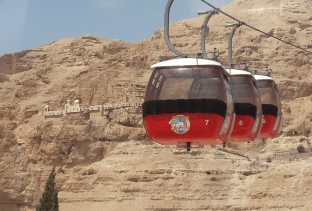 At the end of the tour, we are going to see the Dead Sea; it is possible to swim but only in Summer time when day light is longer. 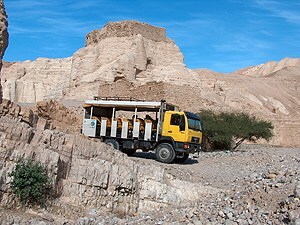 B – Less off road driving but many other sites as St. George monastery observation, hiking on the bank of Wadi Qelt, Jericho, Baptismal site – Qasar El Yahud, drive on the Israel – Jordan border messing with the IDF, Jeeping on 10,000 years old bottom of Dead Sea, visit inside St. Gerasimos monastery, private tour to many small sites along the Judean Desert and Dead Sea region. This is my special tour because in the end of this private tour you are going to understand when peace will come, Hallelujah. All pictures by Moti Barness private tour guide and you can use them as you wish.